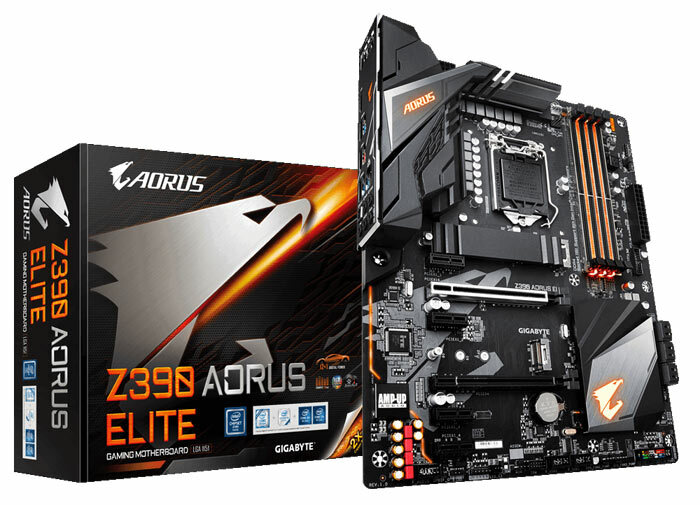 Gigabyte has launched five new Aorus motherboards built around Intel’s newest Z390 chipset. The new boards are the Z390 Aorus Master, the Z390 Aorus Pro, Z390 Aorus Pro Wi-Fi, the compact Z390I Aorus Pro Wi-Fi, and the Z390 Aorus Elite. All the new motherboards can support Intel’s latest Core i9-9900K processors to 5GHz+ across all cores via overclocking. 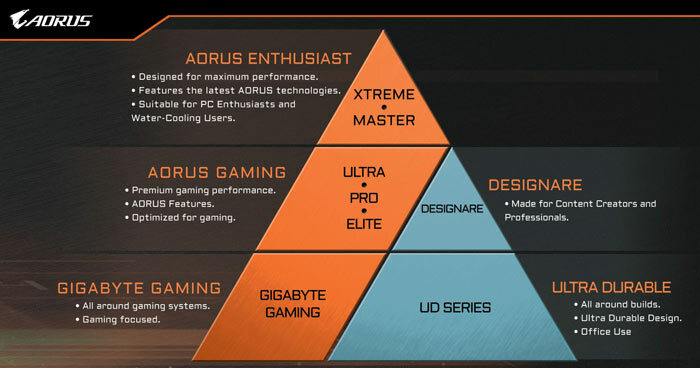 The Gigabyte Z390 Aorus Master is the flagship of this range and Aorus designers “went all out” on this design. The team even made a video to show off what the top of the range can offer you, so I’ve embedded that below. Other lower down the pecking order boards announced alongside the Master have cuts to one of more of the following feature areas; graphics/expansion slots, M.2 slots, USB ports (USB 3.1 gen2 Type C or A), Wi-Fi capabilities, Audio chipsets. The table below shows the most important differences between the three core Z390 Aorus designs (skipping no Wi-Fi equipped Pro, and the mini-ITX board). 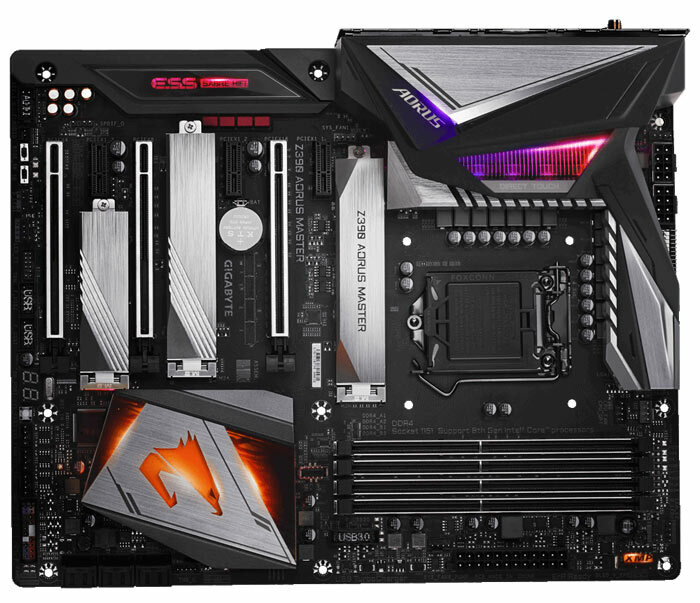 Gigabyte is keen to point out that all its new Aorus Z390 boards feature a 12 phase digital VRM design with a PowIRstage controller or DrMOS module with MOSFETS, robust heat dissipation thanks to tech like Fins-Array heatsinks with direct touch heatpipes, Smart Fan 5 tech with hybrid connectors and Fan Stop, 1.5mm thicker thermal pads, 2x copper PCB design, USB quick charge front port capability, and exceptional power and temperature management. All the boards also feature RGB Fusion for easy and appealing lighting sync. 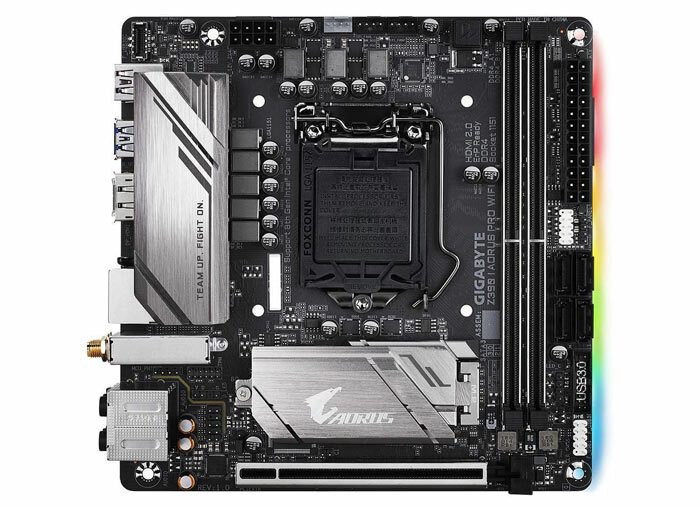 If you are thinking of getting aboard the Intel 9th gen platform and like Gigabyte / Aorus motherboards have a look through the individual product links at the head of the page. These boards are said to be available immediately and if you live in the US or Canada, Gigabyte has published a blog post with direct purchase links from the likes of Newegg or Memory Express. For reference the top-end Z390 Aorus Master retails at approx US$290, and the cheapest new Aorus Z390 board is the mini ITX Z390I Aorus Pro Wi-Fi at approx $165. [Update] A wide range of Gigabyte Z390 motherboards are now available to purchase from Scan Computers*.